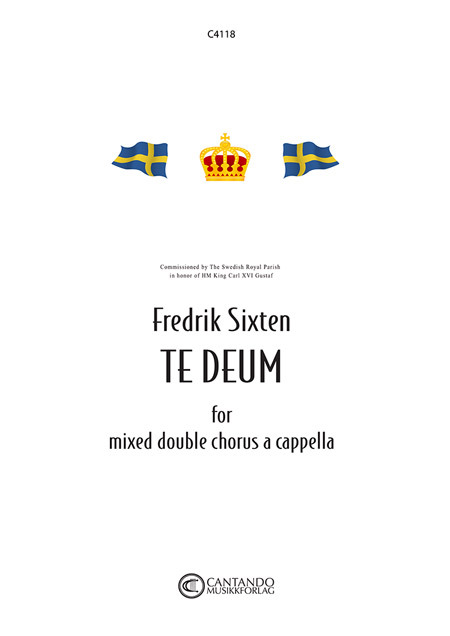 News | ..:: FREDRIK SIXTEN - COMPOSER ::..
New edition out on Cantando! 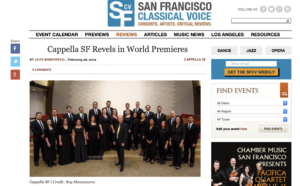 a cappella performed by Cappella SF & Ragnar Bohlin conductor. 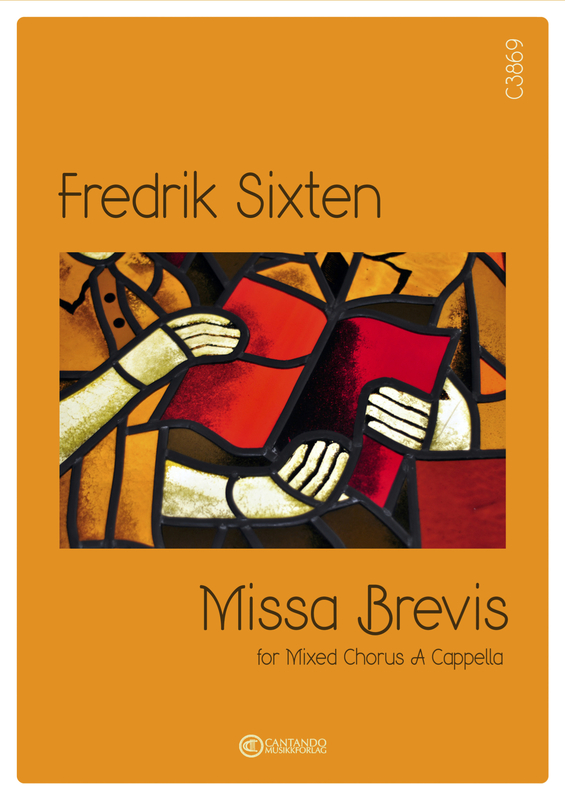 New recording of Missa Brevis for mixed choir a cappella! and “Pie Jesu”. Great reviews! Helsingborg’s Vocal Ensemble on December 12th! 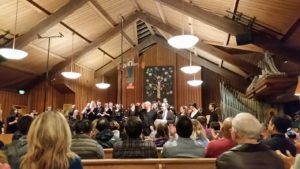 American premier on my St John Passion in USA! 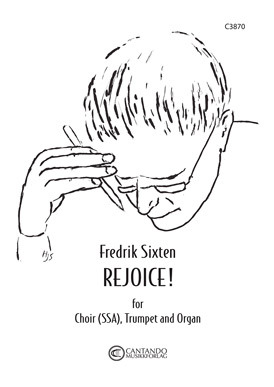 that is kind of the idiom of the music of Fredrik Sixten. “I din nåd” (In thy mercy) will be premiered at Nacka church. will have it’s premiere on the ongoing Bach-festival. June 13 & 14th, at 2 pm. Bjørn Moe who will do the performance! “Variations for organ” which I composed back in 2008.
plays at the huge organ at Stavanger Concert Hall, Norway. 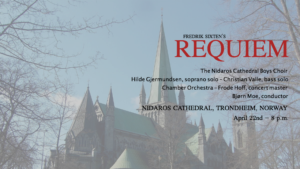 my Requiem on April 22 – 2018 at Nidaros Cathedral, Trondheim, Norway. 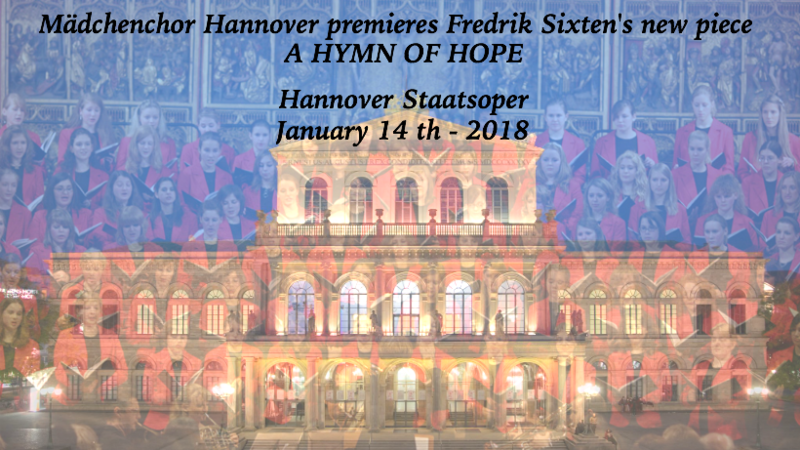 The same piece will also be performed in Germany in March! each day until Christmas eve. 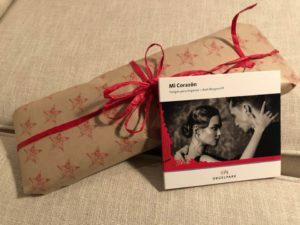 My contribution: “Mary’s Lullaby” (23/12). Australia, New Zealand, Brazil, Russia and other countries. music is included as one of 5 different series of music. by Aart Bergwerff on an upcoming ned CD. Read more! 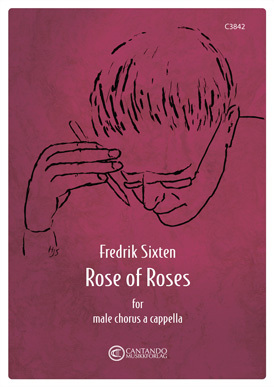 “A Spotless Rose” for mixed choir a cappella. A Spotless rose HSK – video performance! with my Norwegian publisher, Cantando. 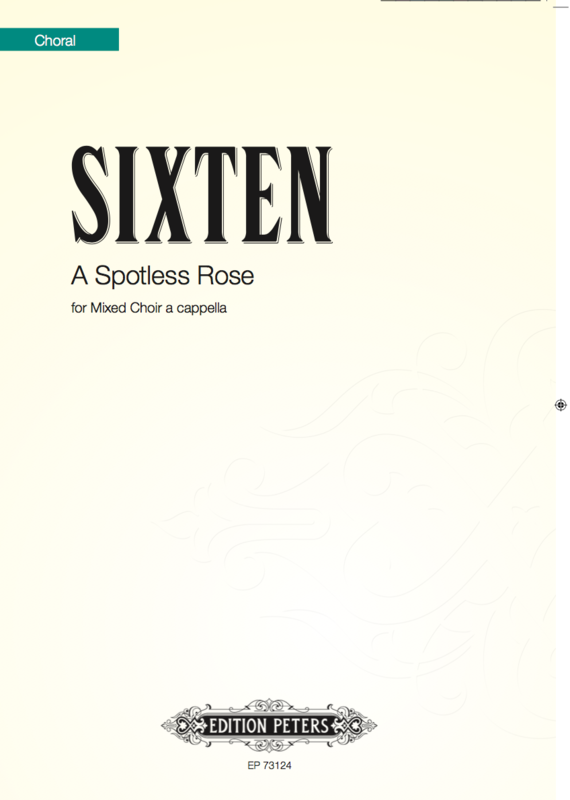 for SATB – a cappella! 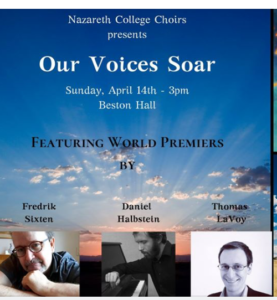 performing my setting of “Ave Maris Stella”. 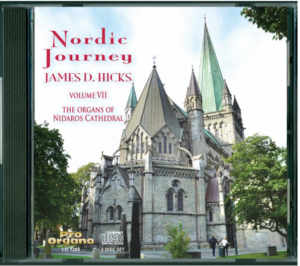 recorded on an upcomig double CD – Nordic Journey vol.VII. By the Sprague Choirs,Oregon. Conductor: David Brown. up to 8 parts, a cappella. diocese of Karlstad. To be premiered in October. April 9th! Mike Murphy, conductor! 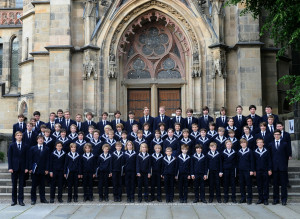 organ and mixed choir in Germany. will also be broadcast live! December 21st, 2 pm. 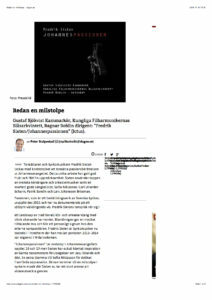 Great review on the CD-recording of St John passion! in 2017 is commissioned by Östersunds parish, Sweden. a new piece: “Hymn of hope” for their spring season 2017! 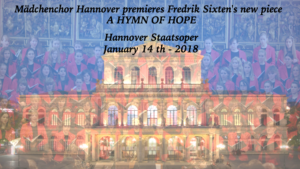 Time for an European premiere of “Seek Him” in Hanover, Germany this coming weekend. 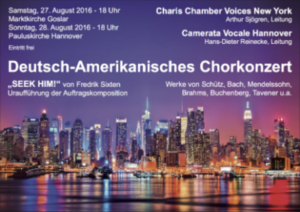 It´s a collaboration between Camerata Vocale, Hanover and Charis Chamber Voices, New York who commissioned the piece. 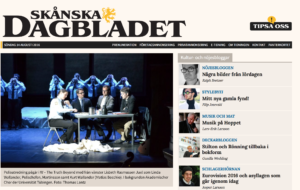 on August 13th at 7 pm at Ystad Music Theatre. 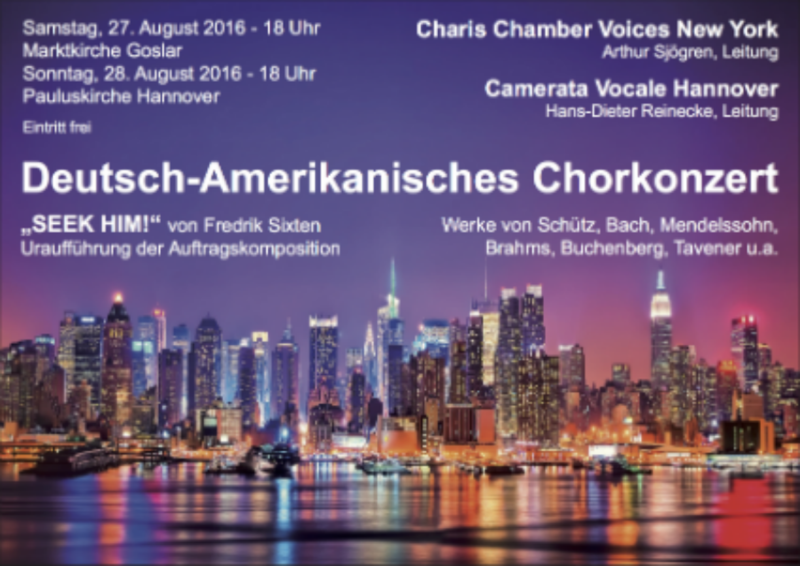 They same cast as in Tübingen, Germany with Philippe Amelung as conductor. Then there are 6 more shows on 14/8, 16/8, 17/8, 19/8, 20/8 & 21/8. Two additional performances on 16/7 and 18/7. with 7 performances between August 13-21. “Peace in our time” for SSAA a cappella. about you and the ensembles? Hans-Dieter and I have been friends for over 40 years. We both studied together with Eric Ericsson in Wien. It was natural for both our choirs to come together for this collaboration. Charis is a volunteer choir by audition, which has featured many contemporary composers from many countries. 2. 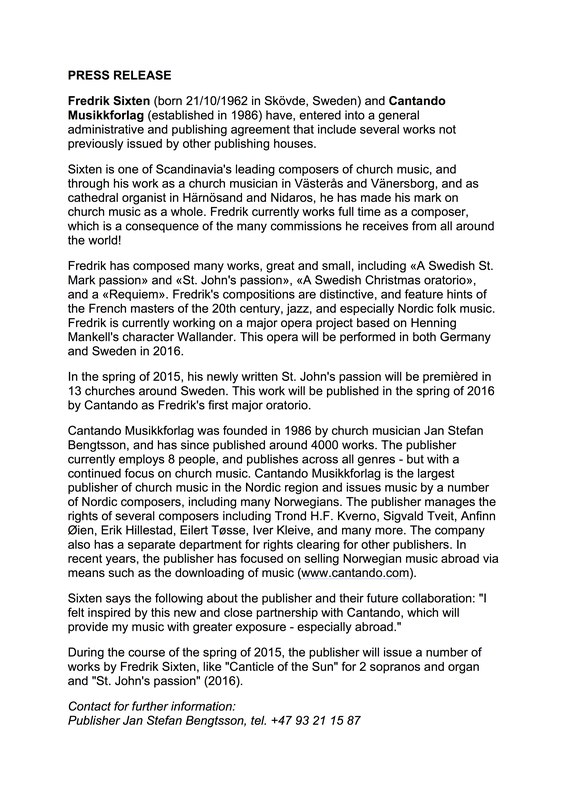 Why Fredrik Sixten, there are many composers out there to choose from? 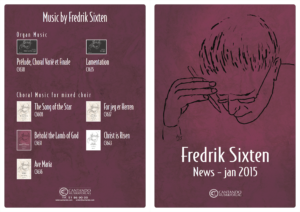 I have been following Sixten’s music for several years. 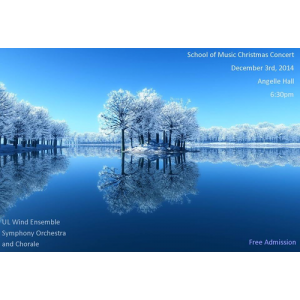 Both of my choirs have performed several of his compositions. My personal favorite is “There is no Rose”. Sixten writes so well for the voice but also has a fine sense for form. To me structure is very important, it is what holds a piece together. 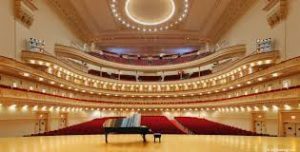 All his sonorities are well founded in the voice not just on the piano. He also exhibits great originality. 3. What can you say in general about the work and your experience working with the piece? 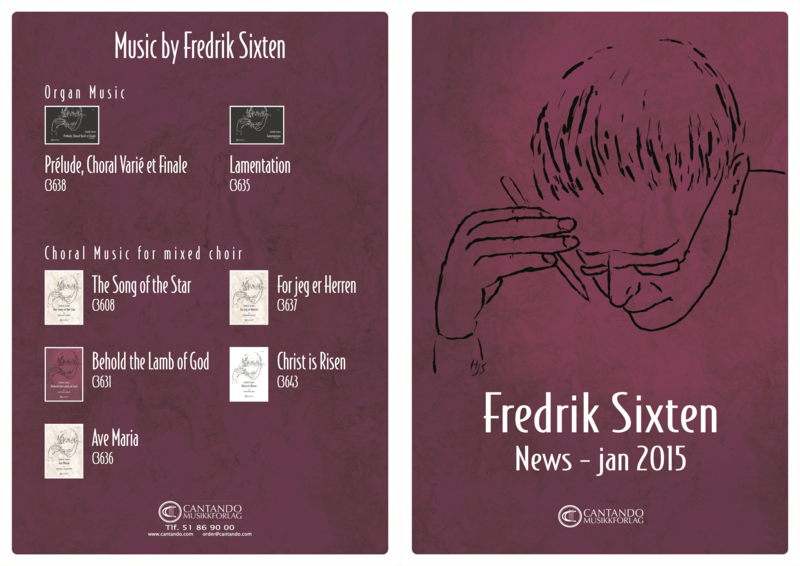 “Seek Him” is the most extended composition that we have done by Sixten. It is probably the most difficult of his cappella pieces. The more we have worked on this piece the more the singers are liking it. I have to say it has been a struggle to get it learned. As with all his compositions the structure holds the piece together very well. There are some very exciting moments in the piece which also reflects the text so well. 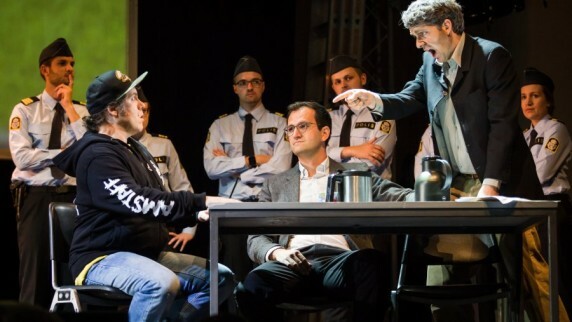 of my OPERA W – The Truth Beyond! An upcoming world premier in USA on July 2nd and 3rd. It’s a commission by Charis Chamber Voices and Camerata Vocale, Hannover, Germany: “SEEK HIM” for SSAATTBB a cappella. premiered on May 20th at Merkin Concert Hall, New York, USA. 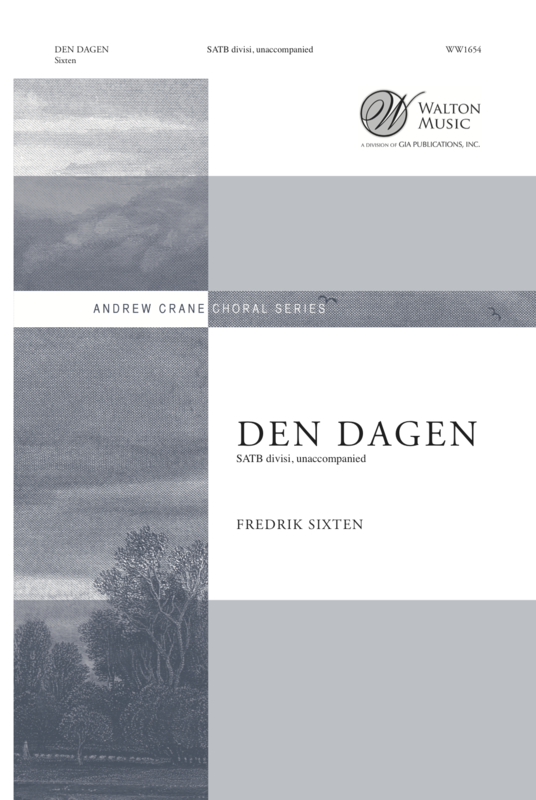 A New upcoming edition on Edition Peters of my piece for mixed chorus a cappella. 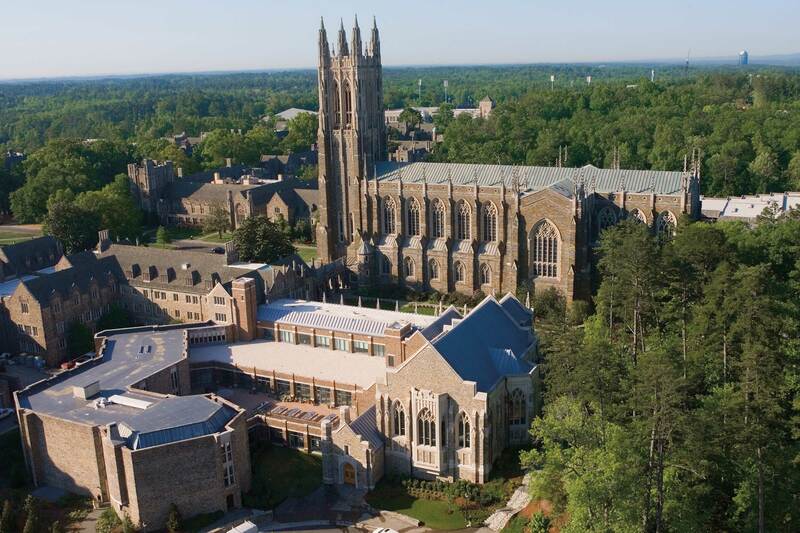 New commission by Duke University, North Carolina, USA. 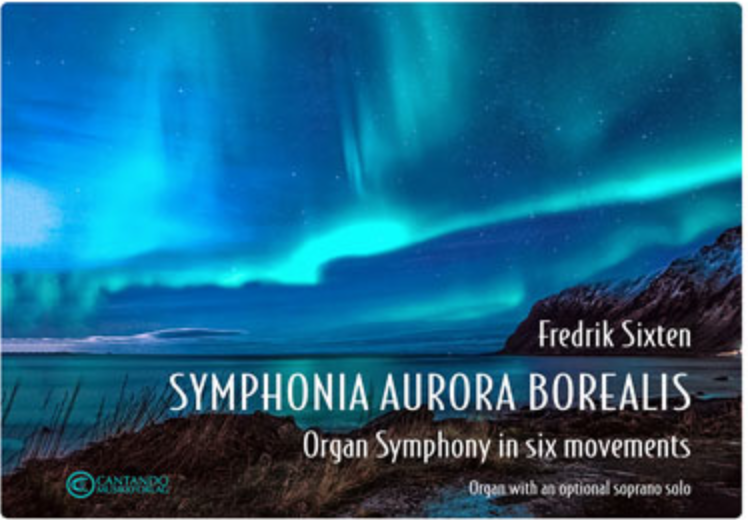 to be delivered at 1st of October 2016.
by Cappella SF, Ragnar Bohlin, conductor. 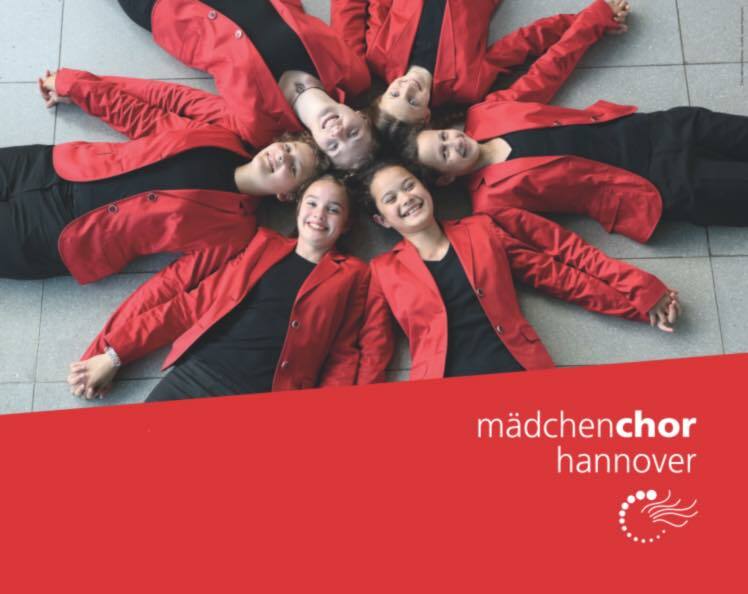 Friedrichshafen in Germany on April 24th at 7 pm. 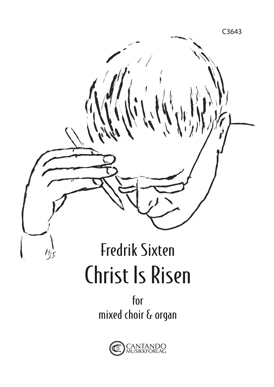 and Christ is risen for choir and organ. so far in this increasing series of CD records. 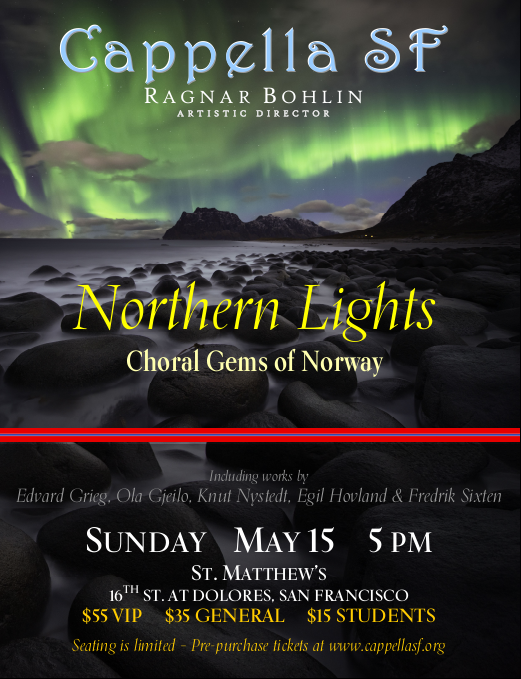 Lund’s vocal ensemble and Ragnar Bohlin, conductor. 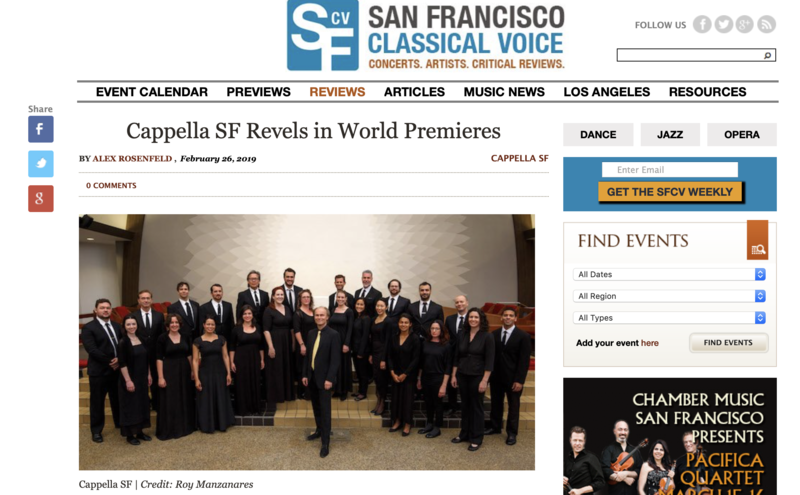 New piece published on Cantando! The piece is published on Edition Peters. Get the score! of the Opera W project! WATCH! and from the University of Tübingen: WATCH! is now on sale! TICKETS! in Ystad is now on sale: TICKETS! conference together with the producer and conductor Philippe Amelung and the author of the libretto, Klas Abrahamsson and the Stage Director Julia Riegel. sopranos and organ are scheduled. of my Triptyche at the concert the same evening. Lyrics by Emil Skartveit. A Christmas Carol for our time! it was a huge success with an enthusiastic audience! at St. Mark’s Lutheran Church, San Francisco. San Francisco. Conductor, Zane Fiala. A Carol for our time! 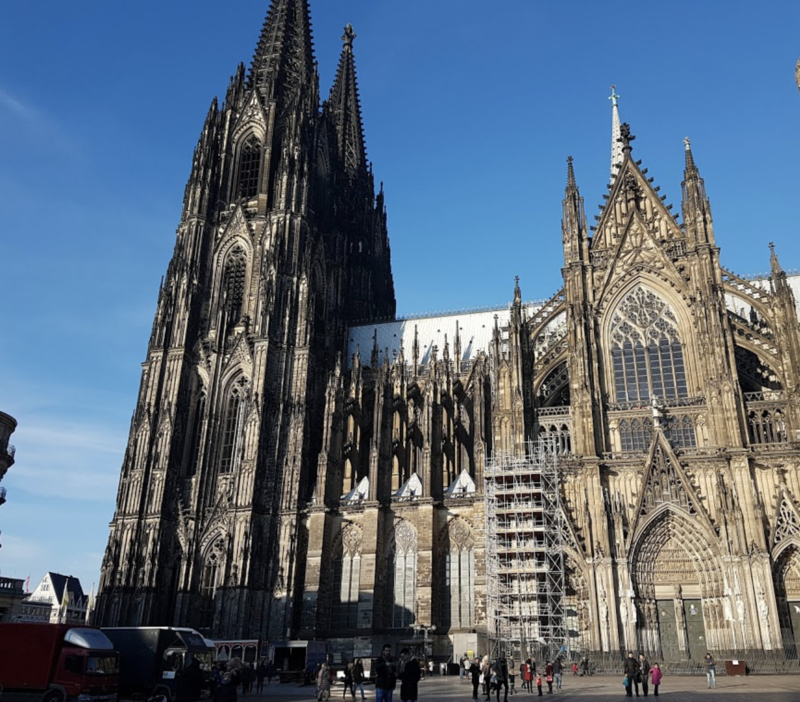 Thomanerkor from St Thomas cathedral, Leipzig, where Bach used to work will perform my Ave Verum Corpus on November13 & 14th at St Thomas cathedral, Leipzig Germany. of the new choir organ in December this year. “Rejoice!” for Choir (SSA) Trumpet and Organ. from the Swedish Royal court. are from the Old Testament. Will soon be published on Cantando! New Commission from New York! 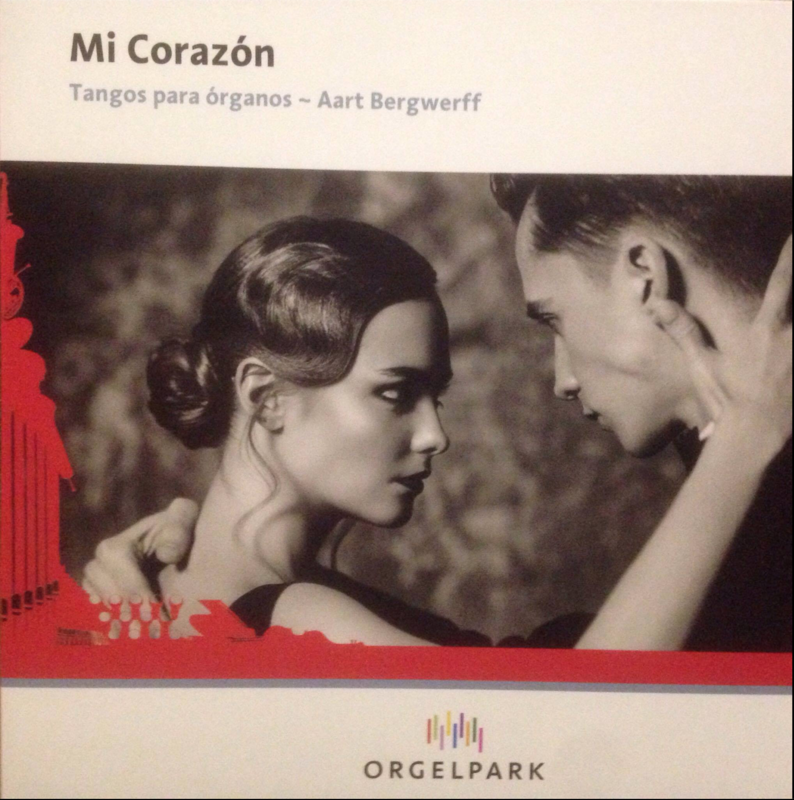 A concerto for 2 pianos and orchestra. and their artistic director: Erik Ochsner. for choir, organ & brass. Pacific University in Tacoma, Washington. USA. video. Go here to read more about the event. got very good reviews. Read the review here! publisher Cantando. 6 new releases in January! 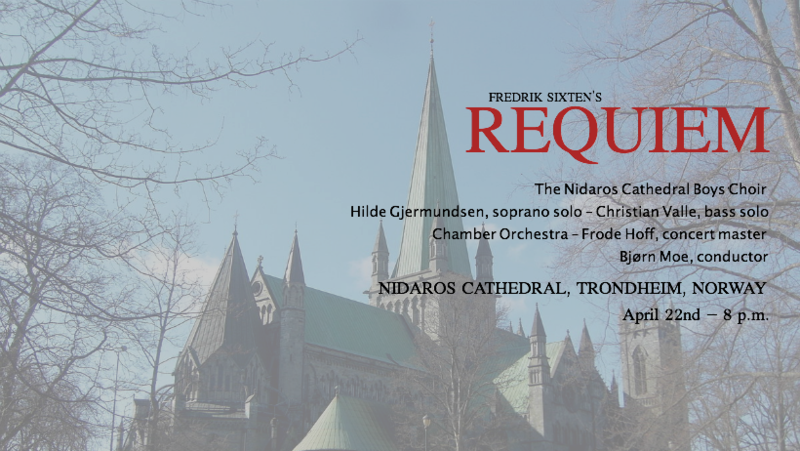 the upcoming CD recording at Kalmar Cathedral. This year there will be a lot of premiers. 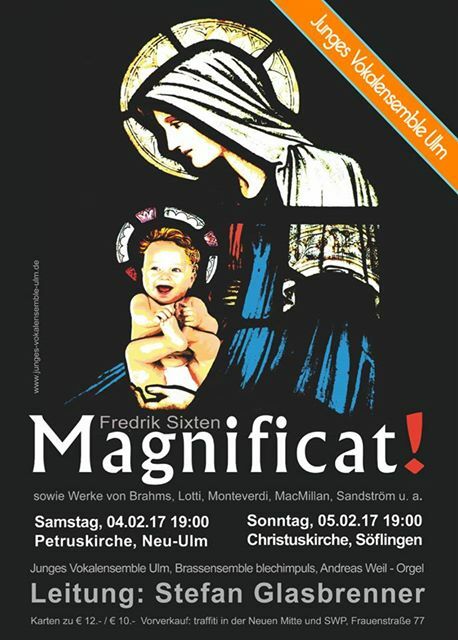 on February 15 in Nacka church, Stockholm. premier “Sicut Cervus” for mixed choir a cappella. at the University of Lafayette, Louisiana, USA. concert series from coast to coast in USA. 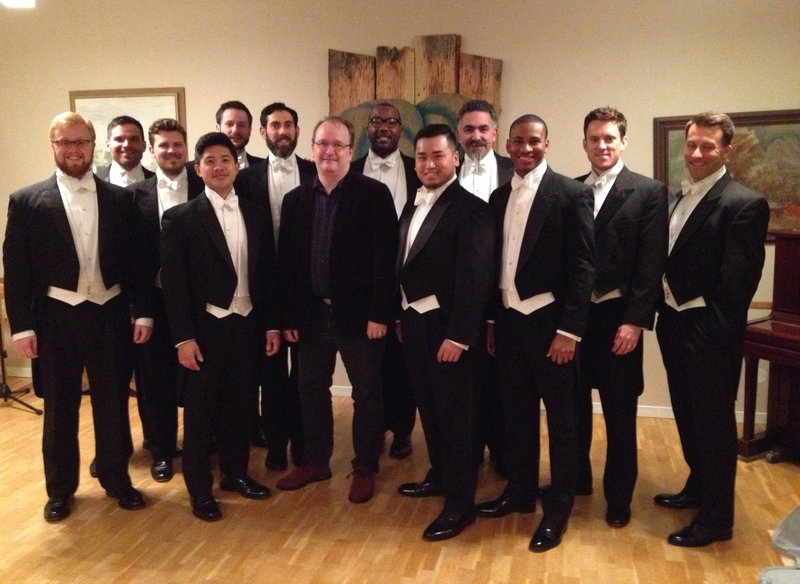 Read more about Chanticleer Christmas tour 2014 here! at the College of Music in Malmö on November 14th. A Spiritual for peace in Helsinki Cathedral on October 14th. Ruffatti-organ in Uppsala cathedral ending up at Kiruna church. It’s scored for mixed choir, 4 soloists, wind quintet and organ. In New York on the 5th and 7 th of December. Gävle Pastorat and the organist Per Ahlman. The latter one will be premiered on December 7, 2014.
their upcoming CD, “Förvårskväll”, to be released on June 30th. Vancouver Chamber Choir and premiered in the fall of 2011. A new commission for an Opera called “W”. will be in both Germany and Sweden 2016.
professor Margaret Phillips is out. in 1986 in the memory of Maurice Duruflé. are included. Watch the video here! Watch the premiere on Youtube! Read more and get your own copy here! Salve Regina for choir a cappella to be premiered in March. Lunds Vocal ensemble is one of Sweden´s best choirs. at a concert in the University in Lund. at a major recital in Boston, Massachusets in February. with Helena Ek as soprano solist. Toccata & Fugue on B.A.C.H is nominated for this years best edition of chamber music by the Swedish publisher´s association! three different organs in different cities in Sweden. Trondheim on the 25th of August. get several performances in June, in both Germany and Norway. performing There is no Roseat a competition for choirs. and Ragnar Bohlin as conductor. More info in a near future! in Karlstad, Nybro and Härnösand this year! in Stockholm on January 5 at Sofia Church. 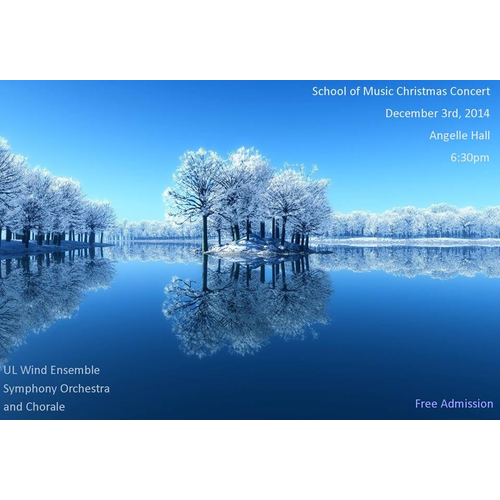 Sofia Vocal ensemble and chamber orchestra. in Newton, Connecticut.Watch & Listen! brass, organ and mixed choir. Read more about it and order tickets online! and St Paul, Montreal, Quebeck. throughout Europe on December 16 at 11 pm. 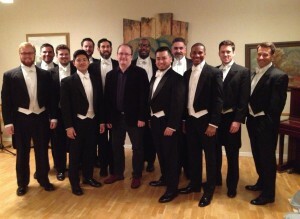 begin his new position in April 2013.
as well as the Oratorio Choir. several venues in USA and in Sweden. LIsten to performance in San Francisco! Anders Larsson, bass solo. Ragnar Bohlin, conductor. November 11 at Vantörs Church. 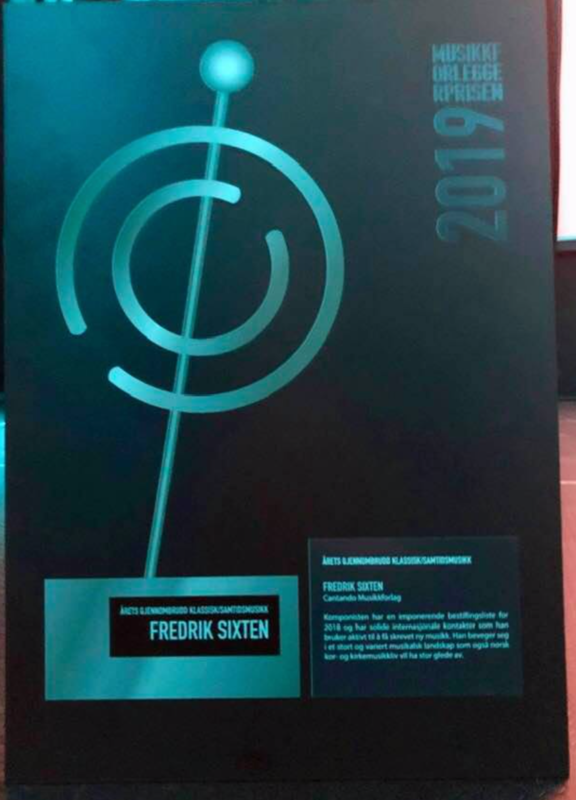 Fredrik Sixten – 50 years! 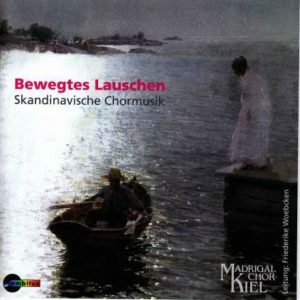 A Swedish Christmas Oratorio is now out for sale. Buy it online for non Swedish customer! of Requiem in November 1, 7 pm. concert for a big choir and music festival in Aarhus. 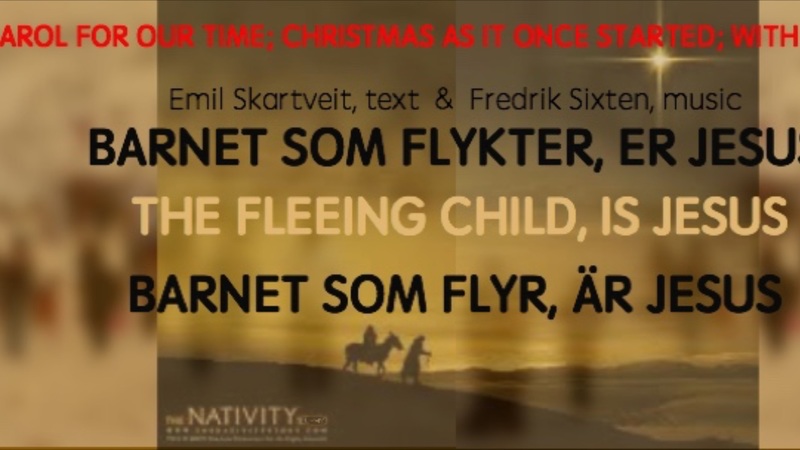 with both English and Swedish lyrics. Click here to order a CD and to read more about it! my music at several occassions this summer and fall. 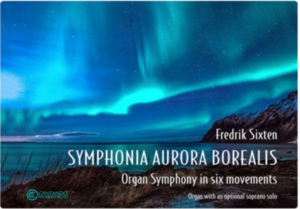 Ordrup outside Copenhagen, Denmark, October 4.
be at St Peters Church, New York on June 8th at 8 pm. 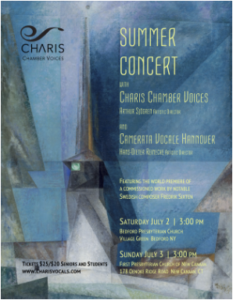 Sonus chamber choir, Erik Ochsner, conductor. The Church of Sweden has now being introduced. in Stockholm for an upcoming Cd-release this fall. Sofia Vocal Ensemble and orchestra. Read more on Gehrmans news site! 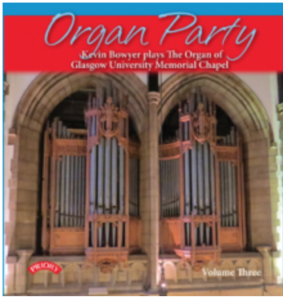 for 2 Trumpets, Choir (SATB) and organ. which will be installed during this summer. St Dominic´s Church, San Francisco, USA. in Sollefteå, Härnösand, Örnsköldsvik and Östersund. and Passacaglia on March 4.
in November at two venues. Cathedral, January 22, 6 pm. and Helena Ek, soprano solo. The composer himself as conductor. Read more on their website! Read more about this event! Peace for mixed chorus a cappella. this year after the success in Germany last year. the direction of John Hearne. Fredrik Albertsson and Guy Poupart. 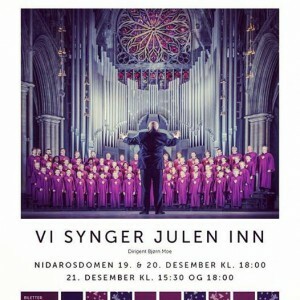 at Uddevalla Church, 21/10 – 7 pm. Listen to an excerpt and read the score! commissioned the piece. Jon Washburn, conductor. in the Norwegian massacre July 23. New commission from the Church of Sweden. read the review. 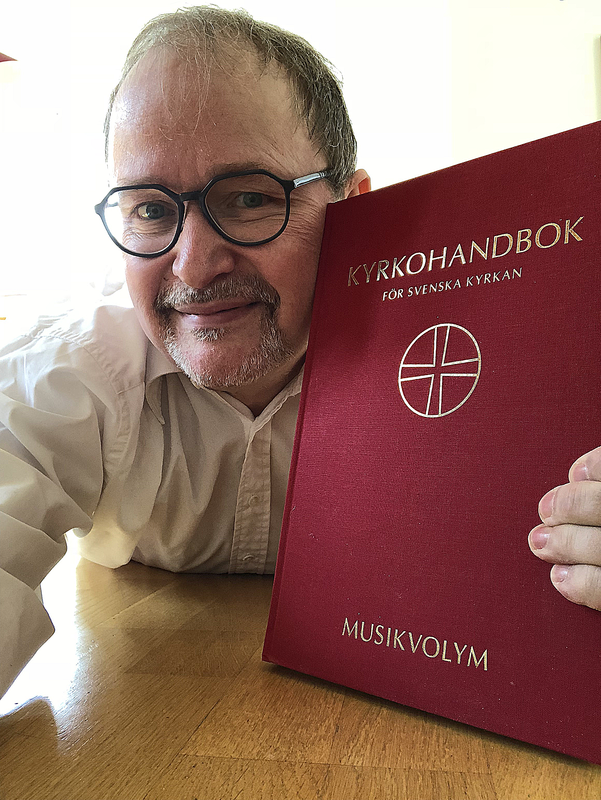 It´s in Swedish. Note: The prize will be reduced on the bill! 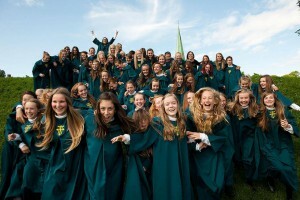 the next day at Uggerby kirke, July 14th, 7.30.
in Westminster Abbey, London, UK, July 12, 7 pm! Saturday, June 25th, 3 pm Listen here! The convention lasts between July 3-6. Read about the whole festival here! O Sacrum Con Vivium in San Francisco. 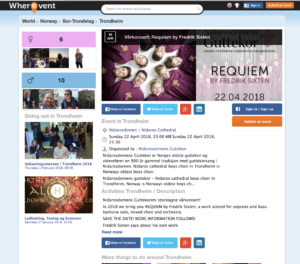 Read more about these two events! 2X O Sacrum Con Vivium in San Francisco! 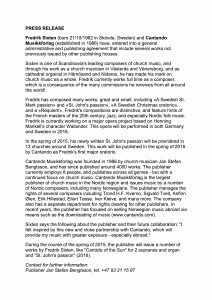 Good reviews from an organ recital I did in Örnsköldsviks Church. Read more about this extraordinary artist! Ave Verum CorpusThey won Second Prize! Watch and Listen to the performance! 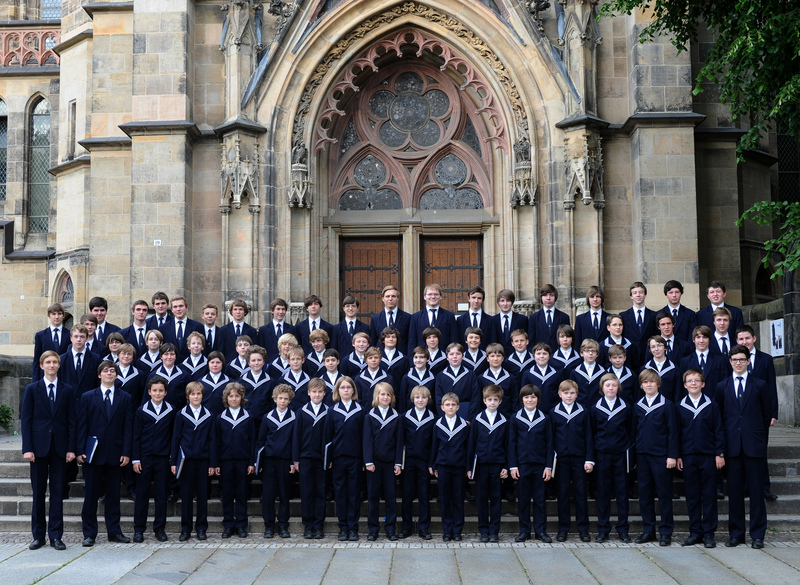 Leipzig on Good Friday, 3 pm.A very prestigious performance! piece by heart:“There is no Rose of such vertu” – great news! Listen to the winning performance!Buy the brand new edition! will be released during March! Watch a new video with my latest piece for choir! in St Caroli Church, Malmö February 20 at 6 pm. expecting the release to be later this year. Stockholm called “Winter meeting”. January 10, 11 and 12. Read more here about the event! Go to the menue “Works/Listen” and listen to an excerpt! 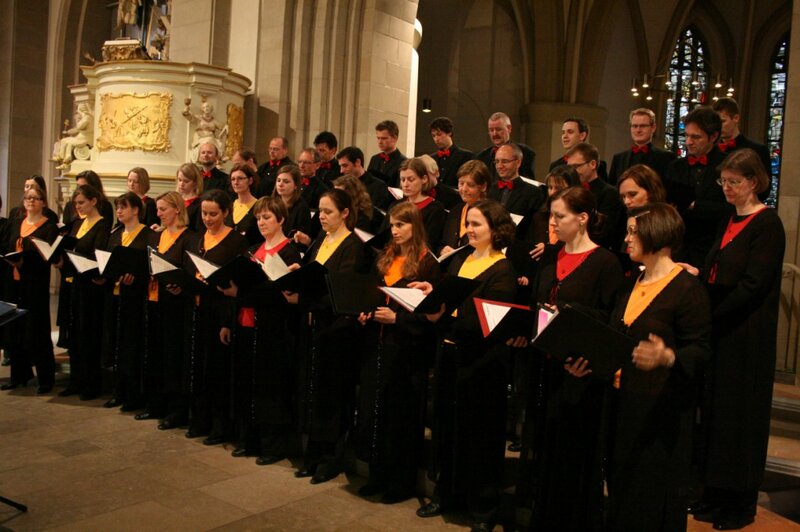 Sofia Church Chorus and Chamber Orchestra. Jeanette Köhn is singing the solo soprano. and conduct the choir October 24, 6 pm. Read more and buy online! New scores out on Gehrmans! 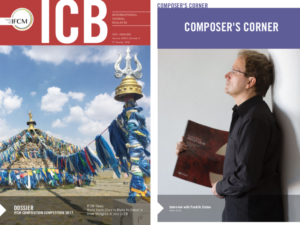 composers on May 28 in Stockholm. for chorus and instruments on May 8.
and myself at the organ. Read the very good reviews! for organ and Messa Misteriosa. Radio Interview with James D Hicks. of the magazine Organist´s Review. 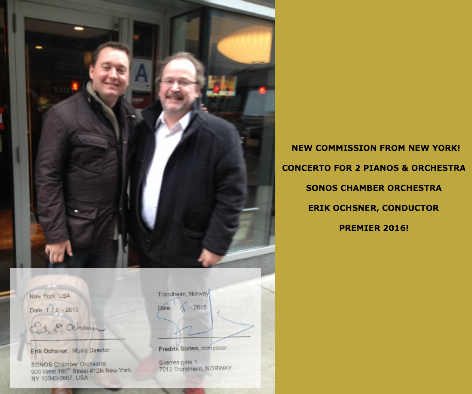 Read more about this forthcoming CD release!.